As the organization, you have the ability to set redirect links on any fundraiser to redirect donors back to the place you want, like a thank-you page on your site! 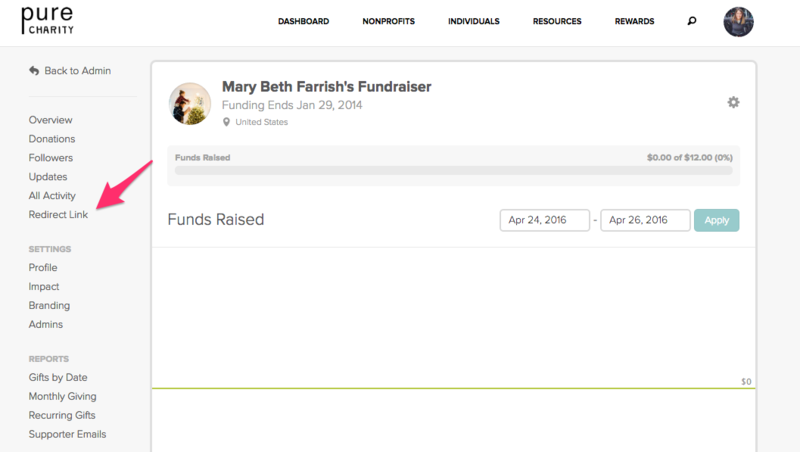 Step One: From your nonprofit dashboard, click Fundraisers. Next click the fundraiser name you would like to add a redirect link to. 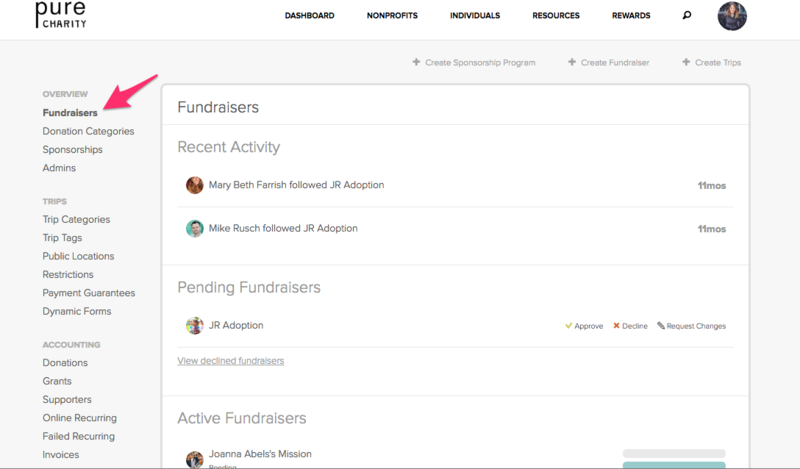 Step Two: From the fundraiser dashboard, click the redirect link tab on the lefthand side of the page. Step Three: On this page, insert the URL you wish to redirect your donors in the field. Last click "create redirect" button. You will now have a redirect link in place for your donors. Have questions? Contact your Account Lead or help@purecharity.com.